When will the real world catch up to some of the science fiction novels of our youth? WhoIsHostingThis put together this great infographic that shows some of the gadgets from the world of sci-fi that already exist and you probably didn’t even realize it. There are some great finds on this graphic, including the Tamaggo ibi, the 360 degree camera and the Electrolux Wirio cooking device, but we were a bit dismayed to see that one of the devices is intended to allow you to know what your dog is thinking. 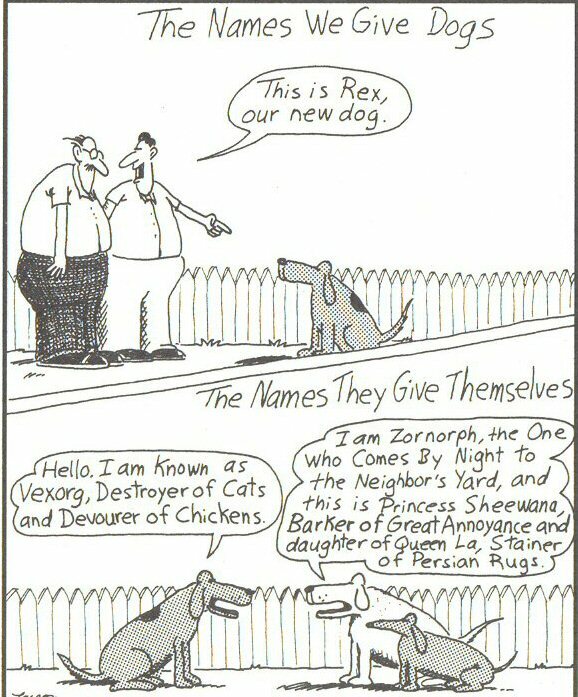 Gary Larson taught us many years ago how dogs truly think of themselves.